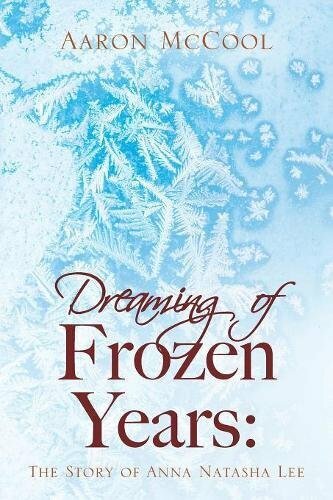 “Dreaming of Frozen Years: The Story of Anna Natasha Lee,” by Aaron McCool, tells the story of college-aged Anna and ‘Hotshot,’ as they navigate the thrills and chills of early adulthood and experience the issues of classism, racism, and sexism. Set in the backdrop of the late 90s, and narrated by the sharp-tongued protagonist, named only as Hot Shot, McCool’s story works with a quick-paced sharp wit and running commentary on issues still relevant in today’s time. Though McCool’s work serves as an astounding commentary that proves the depth of McCool’s cultural knowledge, I found the execution of this tale hard to swallow. What both shined through and weakened the narrative was the fallibility of McCool’s characters. Hotshot, leading the narrative, was a protagonist who found himself surrounded by a cast of characters who constantly pulled him in a myriad of moral and immoral directions. The range characters and personalities present were impressive, with McCool proving that he could create vibrant and unique personalities that jumped off the page. Anna, the novel’s namesake, was particularly astounding in believability and sincerity, owning up to both her flaws and brilliance. The problem came with Hotshot, who let these other characters pull him in all sort of directions. While a protagonist does not have to be strong to create a good narrative, it felt like the protagonist’s only purpose was to be the viewer of the story rather than a participant himself. In saying that, the narrative was pulled by the side characters, whose only goals seemed to be a near-constant hunt of the next hit, the next pill, the next drink. Once Hotshot meets Anna, this theme of substance abuse becomes even more prevalent when theft and dealing become involved. On one hand, I appreciate McCool’s attention to the drug and alcohol abuse that commonly plagues campuses; it felt like an important note. The extreme means that Hotshot and Anna took to find their fix was a prime example of the corruption and abuse that could happen in higher learning. However, despite the importance of the commentary, I felt McCool’s interpretation exaggerated the desperate state of so many characters. While partying is certainly a prerogative of many university students, the lack of varying dynamics within the cast of characters made the narrative feel unrealistic. Toward the end, it felt more like a caricature of what someone thinks university life is like, rather than a realistic depiction. Despite this, I appreciate the social commentary that McCool was promoting in this novel. “Dreaming of Frozen Years” serves as an important and relevant commentary that brings to light the issues of classism, sexism, and racism that too often control the dynamics of university life. Aaron McCool’s writing has the potential to create potent and long-lasting narratives. “Dreaming of Frozen Years,” serves as a debut novel that demonstrates a skill that has the potential to continually endure.